SHEFFIELD, UK – A British golfing invention secured a major publicity coup at the 146th Open Championship, and will now also make regular appearances on the new Sky Sports Golf TV channel. Zen Green Stage, the computer-controlled adjustable playing surface, made its TV debut at Royal Birkdale this year as part of the BAFTA-winning Sky Sports Open Zone. The ‘Zen Green’ was embedded into the outside broadcast studio’s floor to enable presenters and players to demonstrate breaking putts and shots from sloping lies for TV viewers and the watching crowds. During Sky Sports Golf’s week-long coverage from the Championship, 2018 Ryder Cup Captain Thomas Bjorn, U.S Open Champion Brooks Koepka and other Major-winners such as Gary Player, Henrik Stenson and Dustin Johnson all gave playing clinics on the Zen Green Stage. Paul McGinley used it to recreate (and again hole) his Ryder Cup-winning breaking putt on the 18th at The Belfry, and Lee Westwood used it to give a masterclass in hitting from a variety of sloping lies. Immediately after The Open the Sheffield-made Zen Green Stage was installed in the newly-redesigned Sky Sports Golf TV studio in Isleworth. Sky Sports pundit Andrew Coltart was the first to use it on-air, on Thursday 27th July, when he recreated the subtly-breaking putt which Jordan Speith holed nervelessly for bogey on 13 in his final round. “Imagine a future where you’re watching live coverage of a golf event, and can immediately recreate the exact putt you’ve just seen on the TV” said co-inventor Nick Middleton. “That’s possible now, with the Green Stage. Its rapid transformations add an element of uncertainty, posing addictive new putting challenges which fire the imagination. 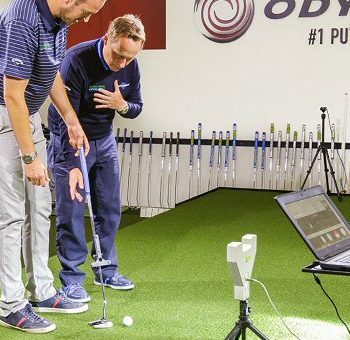 We think it supplies a major piece of golf’s DNA which has been missing, until now, from indoor golf. “It was fascinating to work with the Sky Sports Golf team at Royal Birkdale this year” he continued. “They are world-class innovators when it comes to TV sports coverage, and they brilliantly realised the creative potential of the Zen Green Stage at The Open Championship. “In its new home, the Sky Sports Golf studio, we hope that TV viewers will enjoy watching presenters use the Zen Green Stage in all sorts of imaginative ways, bringing the sport to life like never before. It will be a theatre of new experiences, and what you have seen on Sky Sports to date is just the beginning” said Middleton. The Zen Green Stage is a digitally-adjustable playing surface for golf, both putting and full-swing. Designed to help golfers master the art of green-reading, it is also ideal as an indoor hitting platform for every club in the bag. 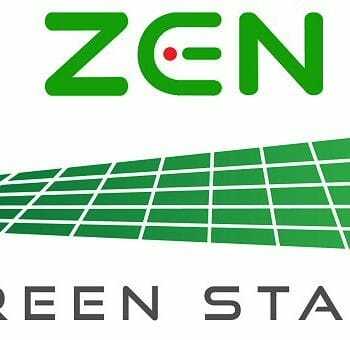 Now used by some of the world’s best golfers and their coaches, Zen Green Stage is the ideal surface for most types of golf coaching and practice. It can be used in harmony with the sport’s latest tech including Quintic Ball Roll, SAM Putt Lab, Blast Golf, the PuttView augmented reality technology, and most types of launch monitor. “I think that Zen Green Stage is set to be the foundation for a new type of golf experience” said Nick Middleton. “It has that as-seen-on-TV excitement factor, and mirrors the undulations which you find on a real-world golf course. It can recreate any makeable putt on the planet, and puts you right there on the fairway to help you practice firing shots at the green from any kind of sloping lie.